We are pleased to offer a varied selection of gift boxes. 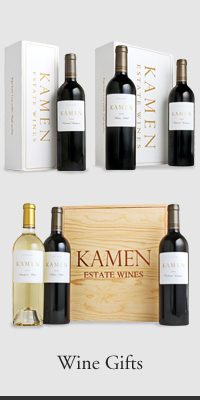 Our winery team is also happy to offer you a personal gift concierge service. 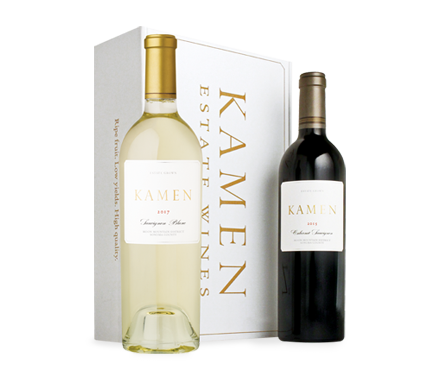 If you would like us to assist you in placing your orders directly, you may contact us at 707-938-7292 or info@kamenwines.com. ** We encourage your selection of expedited shipping to cold weather states for the safety of the wine. Our 2017 Sauvignon Blanc is racy and savory! 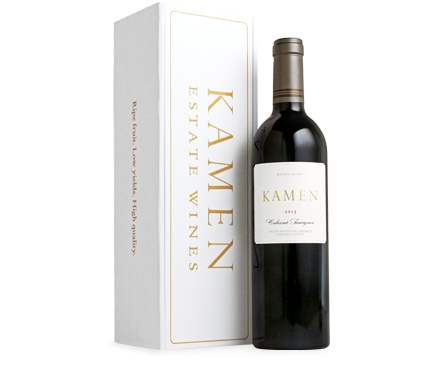 We have packaged it together with our 2015 Cabernet Sauvignon making it the perfect gift for any wine lover. All prices are inclusive of gift packaging. Shipping costs and sales tax are based on destination address. Both Ground and expedited shipping are available on all packages. For expedited shipping costs, please call 707-938-7292.